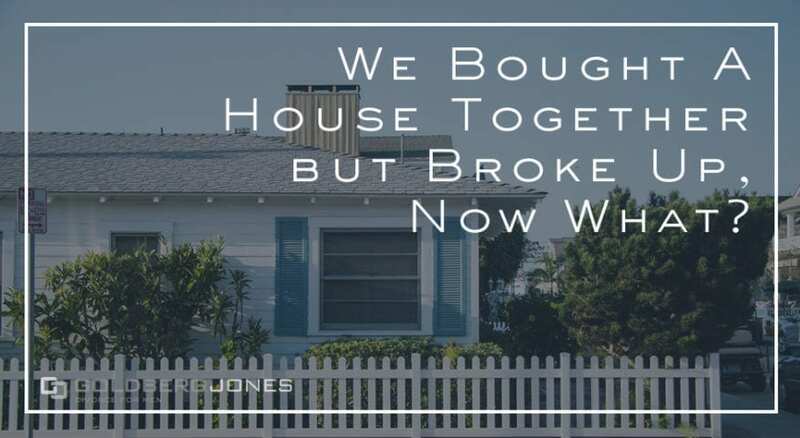 "We Bought A House Together But Broke Up, Now What?" Buying a house is a huge investment. For most people, it’s the biggest purchase you’ll ever make. Because of this value, in divorce, it’s also usually the most significant asset to divide. But what if you were never married? How does that change things? One of our founding partners, Rick Jones, regularly appears on the Danny Bonaduce and Sarah Morning Show, where he answers common family law questions from listeners. On a recent episode, a caller finds himself in a tricky situation. He and his ex-girlfriend bought a house together only to later break up. He can’t afford to buy her out and she doesn’t want to leave. What can he do?